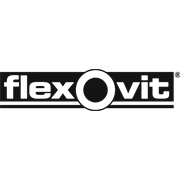 Flexovit painted surface orbital sanding discs are ideal for machine sanding of painted surfaces and lacquered wooden surfaces. The no clog treatment reduces clogging when sanding between coats of paint, primer and lacquer. The pre-cut holes for dust extraction suit AEG EX150E machines and other 150mm machines with matching configuration; the speed-grip hook and loop backing allows for quick and easy sheet changes. Use 80 grit for smoothing out shallow depressions, scratches, coarse sanding marks and rounding sharp corners.